St. Martin's Griffin, 9781250065957, 448pp. As a movie location scout, picture-perfect is the name of the game. But her last project literally went up in flames, and her career is on the verge of flaming out. Greer has been given one more chance, if she can find the perfect undiscovered beach hideaway for a big-budget movie. She zeroes in on a sleepy Florida town called Cypress Key. But Eben Thibadeaux, the town’s mayor, objects to Greer’s plan. A lifelong resident of Cypress Key, Eben wants the town to be revitalized, not commercialized. Greer has a way of making things happen, regardless of obstacles. And Greer and Eb are way too attracted to one another for either of them to see reason. Between an ambitious director and his entourage—including a spoiled “It Boy” lead actor—who parachute into town, a conniving local ex-socialite, and a cast of local fangirls and opportunists who catch the movie bug, nothing is going to be the same in Cypress Key. Now Greer is forced to make some hard choices: about the people and the town she’s come to care about, and about her own life. True love is only for the movies, right? Can Greer find a way to be the heroine in her own life story? 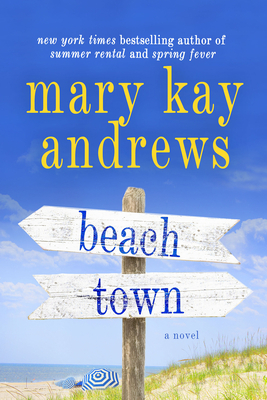 Told with inimitable heart and humor, Mary Kay Andrews’ Beach Town is the perfect summer destination.